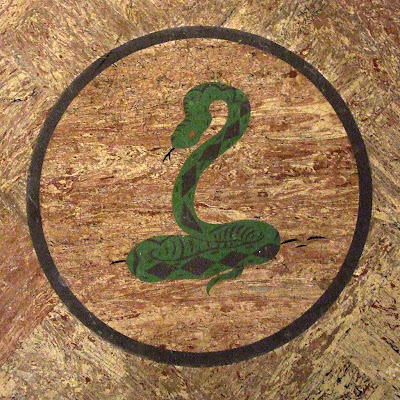 I was puzzled by the two snakes depicted on the sanctuary floor at Saint Francis de Sales Oratory, until I figured out the Latin inscription. It comes from Psalm 90 (LXX), which is prayed during Compline. Photo taken during the recent church tour. thanks, I've wondered about that inscription for some time, and then always forgot to check it.